WORRIED YOU WON'T MAKE YOUR HOME BUSINESS A SUCCESS? 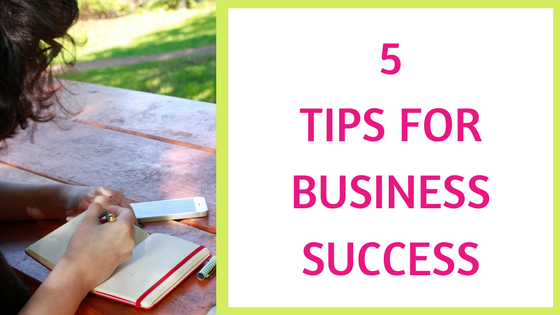 Here are a few of my favourite tips I tell all my new team members and I’m sure it will also ring true for yourself, working from home can be scary, especially if you haven’t done it before so here are 5 top tips to making your home business a success. Shout it from the rooftops! You need to be pretty self-motivated to do this work and focus on your goal – if you enjoy the company and the products then this will really help you. You have to be excited about your company’s products and can’t wait for new products to arrive, so you’ll be happily shouting about them to everyone you know over social media and in the local shops, and there’ll always be people listening – so tell them! The people that see your post or blog may then buy from you, book you, or want to join your team as they can see your enthusiasm for it which will spike their interest, which in turn helps your business grow. Direct sales and Network Marketing is definitely not a get rich quick scheme. It is a business like any other business, so be prepared to treat it as such. Give it time and energy that it will need to develop and enjoy the ride, it’s going to be amazing! Treat it as a hobby, be paid as a hobby. Treat is as a business, be paid as a business! If you do not work with your sponsor (yes, I can hear some people say ‘but I don’t have a sponsor’ then guess what, I don’t work with mine either, my mentor is in the US and on YouTube! There is lots of support out there if you just ask and seek it, but also remember it is up to you to succeed at the end of the day. Granted, it can feel quite a lonely job at times when you’re working from home on your own, so find a support group of like-minded women, even a local networking group can really help and it gets you out of the house engaging and meeting people (spreading your name further) joining like-minded people or finding a mentor/coach can make a big difference to you and your business. You have more ears to listen to and share your ideas with who, perhaps, has also been in the same position as you. In my case, I was the only one in Cumbria when I started my business over 6 years ago, so I built up a local team so I was no longer the only local one here and started some meetings and informal get-together’s. Finding like-minded & focused people is crucial to your success and personal development and well-being (a partner or husband can only listen to you for so long, then it gets to the point you know your boring them!) why not reach out to those people in positions of your business that you want to be at, follow those who are successful, it will rub off on you ‘The Power of Attraction’ really does work, cut out negativity and the positives will shine through. You never know when an opportunity to chat about your business may arise, and you never know when someone will want some information from you. I always carry my business cards, the latest brochures and product samples with me. Friends always ask me for more business cards as their own friends and work colleagues always comment on their products from me. Remember, it always comes back to referrals and recommendations! However busy you are, whether you have a family, other jobs, commitments you must try to touch your business each day. You have to be seen to be active and consistent on blogs and on social media as this builds up trust with your customers. Don’t post once a week or once a month on your media platforms as this will look like you can’t be bothered, so why should a customer think you could bother with them? Even by doing 15 minutes in the morning, 15 minutes in the afternoon and 30 mins in the evening will add up. Pop a brochure in the post, make a phone call, drop off some samples when doing the school run, book in a hostess coaching meeting etc. etc. all of these actions are advancing your business that little bit further and you never know where it might lead. *Every time you tell someone about what you do opens up a whole new avenue of possibilities and opportunities for you, so every minute counts!! Doing a little bit of promotion each day is easier to keep the momentum going as it keeps it in your mind and pushes you further! TIP: Have you heard of the 25-minute POMODORO TECHNIQUE? You set the timer and focus on a task for 25 minutes, then have a little break and repeat. Schedule your daily tasks for better results. If you didn’t finish it, finish it tomorrow on your next 25-minute slot – breaking your tasks up like this will prove highly beneficial to you and you actually focussing, getting off Facebook and other networks that get you easily distracted and focus on getting the job done! You need to always remember this, especially when using social media, as there is a lot more work to building up those relationships! No matter how brilliant your products are, YOU are the voice and face of your business. Be the best consultant out there, that is super friendly and efficient, who is known to always deliver great customer service and who people talk about when their friends comment when complimenting your customer. I like to give money off vouchers, % discounts, loyalty cards or referral discount cards and a product sample freebie with all my customer’s orders – could you do that? This will show your customer that you appreciate their custom and will plant the cross-selling seeds for future orders. Recommendations go a long way in any business, it is how your business will succeed and grow – recommendations & referrals. Build up your brand which is your name and reputation, even more so on social media, so be ready to pimp your name out everywhere! If you can think of any more I’d love you to share them in the comments at the bottom of this post.